Nokia has today published its annual interim report for 2011 and it does not make for positive reading, with the Finnish giant losing out across the board. Operating profits are down a massive €1.4 billion or £1.17 billion (43%) year on year, with Q4 seeing a 56% loss compared to the same quarter in 2010. There are big losses in all of Nokia's sectors year on year, with a 13% drop in mobile phone sales and a 27% drop in smart devices shifted. Update: In Q4 Nokia also recieved €180 million in platform supports payments from Microsoft as part as of an agreement between the two firms. This was the first of what looks like long term quarterly payments from Microsoft. There are a few positive points which can be pulled, with Nokia reporting sales of its Lumia devices are now over 1 million units. And quarter on quarter results show that mobile phone sales increased by 4% in Q4 and smart devices sales saw an increase of 25% in Q4 compared to Q3. 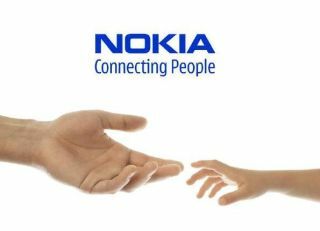 There's no denying it, Nokia needs to turn itself around, and fast, although the Finns may already be on it. We received a surprise invite from Nokia today, inviting us to their press conference at MWC 2012 in February. This is the first time Nokia has attended Mobile World Congress in three years and could signal its revival, with new product launches aimed at propelling it back into the black for 2012. The invite itself came will little detail, merely stating the conference would be held on the opening day, February 27 at 8.30am Barcelona time. We will bring you all the news at is happens, live from the conference.